Sometimes music is touching me so deep, that I must spread the word like a herald. 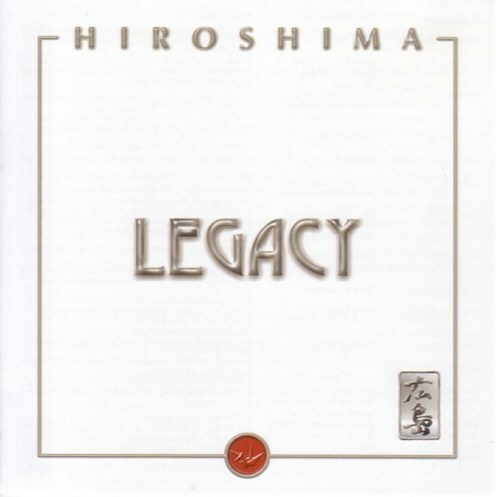 Hiroshima‘s new album Legacy is motivating and pushing me into this direction. I use the old world herald in full conscience. It’s the melting of old traditional Japanese with modern jazz instruments which makes Hiroshima’s music somehow antique in the sense of an “old master”, a term for an European painter of skill who worked before about 1800, or a painting by such a painter. Equally their music is so modern and unique that one cannot compare their Asian-American jazz fusion with the music of any other group. The new album is a collection of songs from Hiroshima’s first musical decade. The songs were not taken from the previous albums but re-recorded by the band’s current lineup, the founders Dan (sax) and June Kuramoto (koto), joined by taiko drummer/percussionist Shoji Kameda, drummer/percussionist Danny Yamamoto, keyboardist Kimo Cornwell and bassist Dean Cortez. Further guest musicians are Terry Steele, Jim Gilstrap and Yvette Nii (vocals), Richie Gajate Garcia (percussion) and the string arrangements of maestro George del Barrio. The album starts with the GRAMMY nominated Winds Of Change from Hiroshima’s album Odori (1980). The new recorded version is more orchestral and focused on the ancient Japanese instruments. Mighty taiko drums are underlining the modern drum beat. Dan’s fabulous sax is shimmering over the ancient sound. What makes Jessy J so attractive? The fact that she graduated as the “Most Outstanding Jazz Student” of her class at the University of Southern California or that she already performed with Jessica Simpson, Michael Buble, Burt Bacharach, the Temptations, and that she is currently on tour with Michael Bolton? No, it’s the fantastic mix of female beauty and professional music presented by this high-talented sax player. After the success of her debut album Tequila Moon charting at #1 for eight weeks and as featured artist in Jazziz Magazine, People Espanol, and Jazz Times Jessy generates great attention with her upcoming album True Love. Supported by Peak Records, a division of Concord Records, and with a prestigious tour schedule she’s born under a lucky star and promise to continue her previous success. Like the predecessor True Love is produced by hit maker Paul Brown and furthermore accompanied by keyboardist Gregg Karukas, bassist Roberto Vally, drummer Sergio Gonzalez and percussionist Richie Gajate Garcia. Jessy J likes it hot. So we start in the muddy atmosphere of the Tropical Rain. Jessy gives her sax a mellow blow while the band grooves in the Samba rhythm. The song captivates with soft sax tones and Garcia’s fantastic and authentic percussion. “El Pulpo” (which means the octopus in Spanish) is a sought after percussionist who has accompanied artists such as Phil Collins, Sting, Celia Cruz, Tito Puente, Diana Ross, Hiroshima, Patti Labelle, Amy Grant, Brooks and Dunn, Luis Miguel, John Denver, Art Garfunkel and many, many more. Ladysmith Black Mambazo – Live! Ladysmith Black Mambazo became popular with Paul Simon’s album Graceland (1986). The song Homeless was often released on numerous albums of this group. Ladysmith Black Mambazo (The black axe from the town Ladysmith) was founded in 1964 by Joseph Shabala. He is creator, writer, composer and the genius of the group. He is still the spirit and leader of this vocal formation. 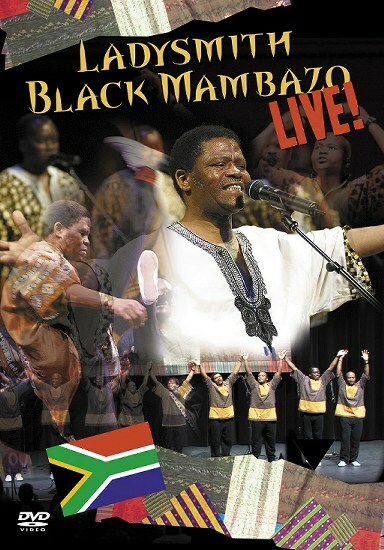 The DVD Ladysmith Black Mambazo LIVE! 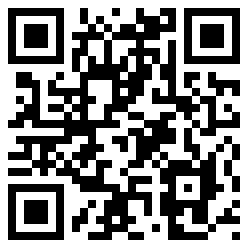 was recorded in Akron, Ohio, in 2008. The DVD listed 10 songs and two further songs as encore. All songs were composed by Joseph Shabala with the exception of Homeless, which is a collaboration with Paul Simon. Shosholoza and Amazing Grace are traditional compositions. The concert starts with Nomathemba, which means in Zulu mother of hope. “I wrote Nomathemba in 1965 and it was the first song I ever composed after it came to me in a dream”, comments Joseph Shabala, founder, leader and musical director of the group. It was the first hit single on their album Amabutho (1973). Joseph’s lithe alto coos and growls above two tenors and more basses that make soothing, rhythmic textures punctuated by breathy bursts is the typical vocal art of LBM. Continue reading Ladysmith Black Mambazo – Live! 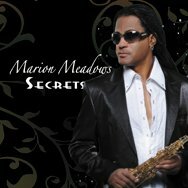 Womanizer Marion Meadows makes his Secrets public. Looking back on a formidable list of previous releases like For Lovers Only (1990), Keep It Right Here (1992), Forbidden Fruit (1994), Body Rhythm (1995), Pleasure (1997), Another Side of Midnight (1999), Next To You (2000), In Deep (2002), Player’s Club (2004) and Dressed To Chill (2006), Secrets (2009) is his fifth album on Heads Up International. Marion Meadows continues his joint venture with keyboardist/producer Michael Broening, with whom he already co-operated on his previous three albums. This idea in mind Marion introduces his new project with Secrets. A mellow tune like the warm wind of Spring. “Secrets are things that are kept hidden beneath the surface of our own intellect, our own decision-making,” he comments. “They’re these treasures that are often right in front of our eyes and yet we don’t even see them or know they’re there. Fulton, Missouri born Joe McBride has a strong connection to Heads Up International. He attended the North Texas State University to study jazz and performance, where he met Dave Love, founder of Heads Up International. He is one of those seldom artists who never changed the label. 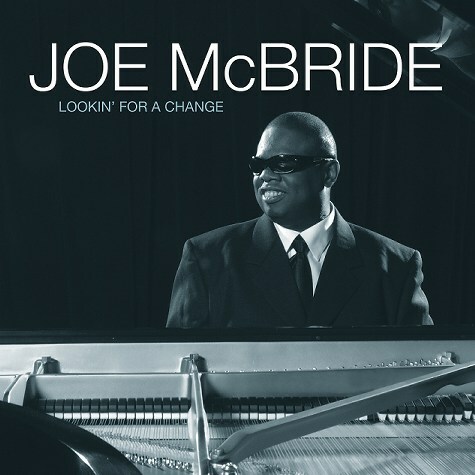 Joe started his career with Grace (1992), followed by A Gift For Tomorrow (1994), Keys To Your Heart (1996), Double Take (1998), Texas Rhythm Club (2000), Keepin’ It Real (2002) and Texas Hold’em (2005). That said Joe’s interpretation of new is a collection of pop songs performed in a jazzy style. Beside these covers Joe also offers three new own compositions. Following the huge hype around Gnarls Barkley’s megahit Crazy (2006), provoking covers of Nelly Furtado, The Kooks, The Zutons, Prince and many more, Joe couldn’t resist to oppose his own rendition. Jason Miles is one of these musicians who wrote music history. He was part of many famous productions like Luther Vandross’ Power of Love, Michael Jackson’s HIStory and the classic Miles Davis album Tutu. Jason comments bass player Lee: “He is a superior musician who constantly makes everyone around him sound better.” The same is to say about Jason Miles. Beside further projects like Coast to Coast – Maximum Grooves (2004), Soul Summit (2008), and recently Global Noize (with DJ Logic) he is best known for his tribute albums: Celebrating the Music of Weather Report (2000), A Love Affair: The Music of Ivan Lins (2000), To Grover with Love (2001), Miles to Miles in The Spirit of Miles Davis (2005), What’s Going On? 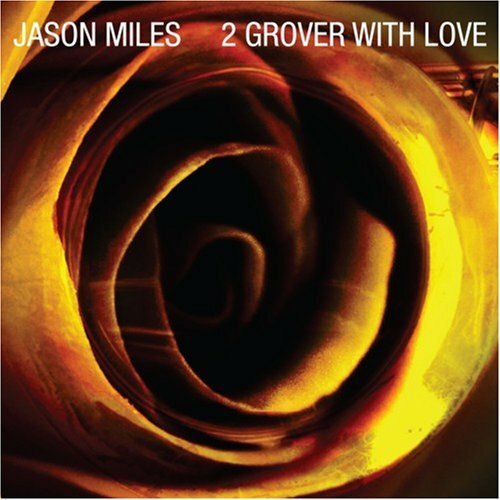 (2006), his tribute to Marvin Gaye and this year 2 Grover With Love, his second homage to the late Grover Washington. An attentive observer of Najee‘s career will recognize the change of Najee’s outfit on his last three albums. In the past dressed elegant like a nouveau rich Najee is now down to the earth. Indeed Najee’s contact to audience and fan base is better than ever. Najee can look back on a long livelihood as one of the high acclaimed sax players. His contributions to the music world are constantly perfect. 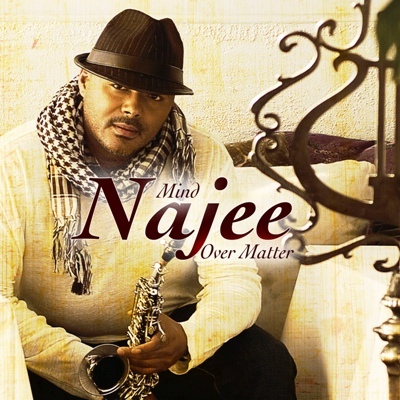 Najee’s song writing process was supported by artists like keyboardist Jeff Lorber and vocalists Eric Benêt and Gary Taylor. The album opens the grooves with the urban Love You A Lifetime. Luscious sax layers are the melodious background for Najee’s expressive sax solo enriched with some keyboard gimmicks. Jeff Lorber’s superb Rhodes solo is the bridge to Najee’s brilliant travel around on flute.